Test drive the new Toyota Corolla! Henderson, NV drivers don’t have to travel far to do so. Schedule an appointment online today, and find out why the Corolla is one of the world’s best-selling cars. CLASSIC SILVER METALLIC exterior and STEEL GRAY interior, L trim. EPA 36 MPG Hwy/28 MPG City! CARPET MAT PACKAGE (TMS), Back-Up Camera, iPod/MP3 Input, CD Player, Bluetooth. Warranty 5 yrs/60k Miles - Drivetrain Warranty; CLICK ME!======KEY FEATURES INCLUDE: Back-Up Camera, iPod/MP3 Input, Bluetooth, CD Player MP3 Player, Remote Trunk Release, Steering Wheel Controls, Child Safety Locks, Electronic Stability Control. ======OPTION PACKAGES: CARPET MAT PACKAGE (TMS) carpet floor mats & trunk mat. Toyota L with CLASSIC SILVER METALLIC exterior and STEEL GRAY interior features a 4 Cylinder Engine with 132 HP at 6000 RPM*. ======EXPERTS ARE SAYING: Edmunds.com explains ''Slipping in and out of the Corolla's cabin is easy, and once you're in, there's ample room to stretch out. There's decent headroom in back and 41.4 inches of legroom, which obliterates everything in the compact segment and embarasses many midsize cars.''. Great Gas Mileage: 36 MPG Hwy. Horsepower calculations based on trim engine configuration. Fuel economy calculations based on original manufacturer data for trim engine configuration. Please confirm the accuracy of the included equipment by calling us prior to purchase. FUEL EFFICIENT 36 MPG Hwy/28 MPG City! CD Player, Back-Up Camera, CARPET MAT PACKAGE (TMS), Bluetooth, iPod/MP3 Input. SUPER WHITE exterior and STEEL GRAY interior, L trim. Warranty 5 yrs/60k Miles - Drivetrain Warranty; AND MORE!======KEY FEATURES INCLUDE: Back-Up Camera, iPod/MP3 Input, Bluetooth, CD Player MP3 Player, Remote Trunk Release, Child Safety Locks, Steering Wheel Controls, Electronic Stability Control. ======OPTION PACKAGES: CARPET MAT PACKAGE (TMS) carpet floor mats & trunk mat. Toyota L with SUPER WHITE exterior and STEEL GRAY interior features a 4 Cylinder Engine with 132 HP at 6000 RPM*. ======EXPERTS REPORT: Great Gas Mileage: 36 MPG Hwy. Horsepower calculations based on trim engine configuration. Fuel economy calculations based on original manufacturer data for trim engine configuration. Please confirm the accuracy of the included equipment by calling us prior to purchase. L trim, SUPER WHITE exterior and STEEL GRAY interior. Lane Keeping Assist, BODY PROTECTION PACKAGE, Back-Up Camera, iPod/MP3 Input, CD Player, Bluetooth. EPA 36 MPG Hwy/28 MPG City! Warranty 5 yrs/60k Miles - Drivetrain Warranty; SEE MORE!======KEY FEATURES INCLUDE: Back-Up Camera, iPod/MP3 Input, Bluetooth, CD Player, Lane Keeping Assist MP3 Player, Remote Trunk Release, Steering Wheel Controls, Child Safety Locks, Electronic Stability Control. ======OPTION PACKAGES: BODY PROTECTION PACKAGE Door Sill Protectors, Rear Bumper Protector (TMS), Body Side Molding (TMS). Toyota L with SUPER WHITE exterior and STEEL GRAY interior features a 4 Cylinder Engine with 132 HP at 6000 RPM*. ======EXPERTS RAVE: Great Gas Mileage: 36 MPG Hwy. Horsepower calculations based on trim engine configuration. Fuel economy calculations based on original manufacturer data for trim engine configuration. Please confirm the accuracy of the included equipment by calling us prior to purchase. Lane Keeping Assist, BODY PROTECTION PACKAGE, Back-Up Camera, iPod/MP3 Input, CD Player, Bluetooth. FUEL EFFICIENT 36 MPG Hwy/28 MPG City! BLACK SAND PEARL exterior and ASH interior, LE trim. AND MORE!======KEY FEATURES INCLUDE: Back-Up Camera, iPod/MP3 Input, Bluetooth, CD Player, Lane Keeping Assist. MP3 Player, Remote Trunk Release, Keyless Entry, Child Safety Locks, Steering Wheel Controls. ======OPTION PACKAGES: BODY PROTECTION PACKAGE Door Sill Protectors, Rear Bumper Protector (TMS), Body Side Molding (TMS). Toyota LE with BLACK SAND PEARL exterior and ASH interior features a 4 Cylinder Engine with 132 HP at 6000 RPM*. ======EXPERTS REPORT: Great Gas Mileage: 36 MPG Hwy. Horsepower calculations based on trim engine configuration. Fuel economy calculations based on original manufacturer data for trim engine configuration. Please confirm the accuracy of the included equipment by calling us prior to purchase. EPA 36 MPG Hwy/28 MPG City! LE trim, BLACK SAND PEARL exterior and ASH interior. Lane Keeping Assist, CARPET MAT PACKAGE (TMS), Back-Up Camera, iPod/MP3 Input, CD Player, Bluetooth. Warranty 5 yrs/60k Miles - Drivetrain Warranty; AND MORE!======KEY FEATURES INCLUDE: Back-Up Camera, iPod/MP3 Input, Bluetooth, CD Player, Lane Keeping Assist. MP3 Player, Remote Trunk Release, Keyless Entry, Child Safety Locks, Steering Wheel Controls. ======OPTION PACKAGES: CARPET MAT PACKAGE (TMS) carpet floor mats & trunk mat. Toyota LE with BLACK SAND PEARL exterior and ASH interior features a 4 Cylinder Engine with 132 HP at 6000 RPM*. ======VEHICLE REVIEWS: Great Gas Mileage: 36 MPG Hwy. Horsepower calculations based on trim engine configuration. Fuel economy calculations based on original manufacturer data for trim engine configuration. Please confirm the accuracy of the included equipment by calling us prior to purchase. BLACK SAND PEARL exterior and ASH interior, LE trim. Lane Keeping Assist, CARPET MAT PACKAGE (TMS), Back-Up Camera, iPod/MP3 Input, CD Player, Bluetooth. FUEL EFFICIENT 36 MPG Hwy/28 MPG City! CLICK NOW!======KEY FEATURES INCLUDE: Back-Up Camera, iPod/MP3 Input, Bluetooth, CD Player, Lane Keeping Assist MP3 Player, Remote Trunk Release, Keyless Entry, Child Safety Locks, Steering Wheel Controls. ======OPTION PACKAGES: CARPET MAT PACKAGE (TMS) carpet floor mats & trunk mat. Toyota LE with BLACK SAND PEARL exterior and ASH interior features a 4 Cylinder Engine with 132 HP at 6000 RPM*. ======EXPERTS REPORT: Great Gas Mileage: 36 MPG Hwy. Horsepower calculations based on trim engine configuration. Fuel economy calculations based on original manufacturer data for trim engine configuration. Please confirm the accuracy of the included equipment by calling us prior to purchase. LE trim, BLACK SAND PEARL exterior and ASH interior. CD Player, CARPET MAT PACKAGE (TMS), Back-Up Camera, Bluetooth, iPod/MP3 Input. FUEL EFFICIENT 36 MPG Hwy/28 MPG City! Warranty 5 yrs/60k Miles - Drivetrain Warranty; AND MORE!======KEY FEATURES INCLUDE: Back-Up Camera, iPod/MP3 Input, Bluetooth, CD Player MP3 Player, Keyless Entry, Remote Trunk Release, Steering Wheel Controls, Child Safety Locks. ======OPTION PACKAGES: CARPET MAT PACKAGE (TMS) carpet floor mats & trunk mat. Toyota LE with BLACK SAND PEARL exterior and ASH interior features a 4 Cylinder Engine with 132 HP at 6000 RPM*. ======EXPERTS RAVE: Great Gas Mileage: 36 MPG Hwy. Horsepower calculations based on trim engine configuration. Fuel economy calculations based on original manufacturer data for trim engine configuration. Please confirm the accuracy of the included equipment by calling us prior to purchase. Finance or Lease a 2019 Toyota Corolla Near Boulder City! 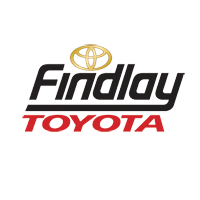 Find the new Toyota Corolla for sale today near Mesquite at Findlay Toyota, where our finance and sales team will be happy to walk you through our flexible financing and lease terms. Stop by the dealership today for a test drive, and remember to count on us for Toyota service near Moapa. Have questions about the new Toyota Corolla color options? Henderson, NV shoppers can contact us online or visit us in person!